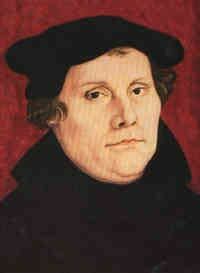 The genius of Christianity takes the words of Paul "who gave himself for our sins" as true and efficacious. We are not to look upon our sins as insignificant trifles. On the other hand, we are not to regard them as so terrible that we must despair. Learn to believe that Christ was given, not for picayune and imaginary transgressions, but for mountainous sins; not for one or two, but for all; not for sins that can be discarded, but for sins that are stubbornly ingrained. Practice this knowledge and fortify yourself against despair, particularly in the last hour, when the memory of past sins assails the conscience. gave Himself into death for my sins." To believe this is to have eternal life. Let us equip ourselves against the accusations of Satan with this and similar passages of Holy Scripture. "No, for I fly to Christ who gave Himself for my sins. With such heavenly cunning we are to meet the devil's craft and put from us the memory of sin. 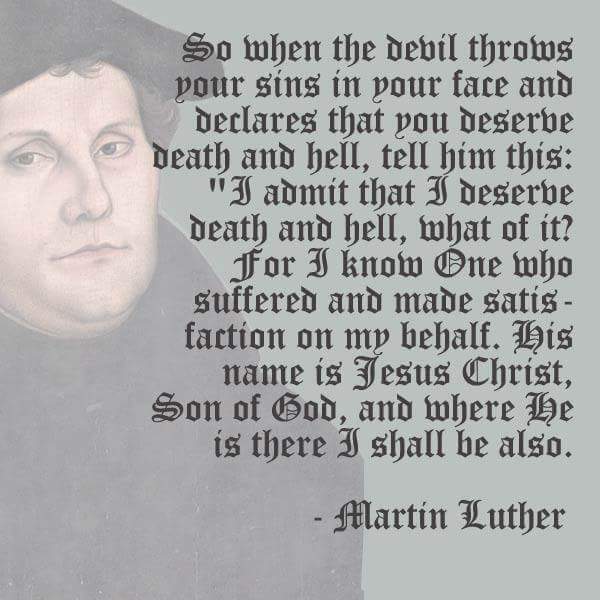 So when the devil throws your sins in your face and declares that you deserve death and hell, tell him this: "I admit that I deserve death and hell, what of it? For I know One who suffered and made satisfaction on my behalf. His name is Jesus Christ, Son of God, and where He is there I shall be also!